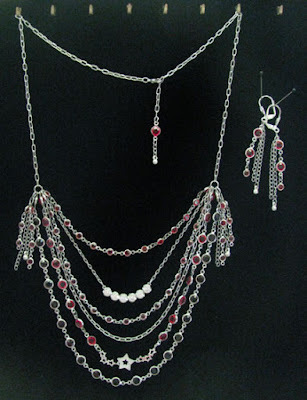 Part one of this tutorial was posted last Monday and covered the construction of the main body of the necklace. Just to remind you, this post is sponsored by Solid Oak, from whom I have received the products in order to create this project for you. 5. Make two tassels on large round jump rings, using leftover links from the small-sized crystal chains. 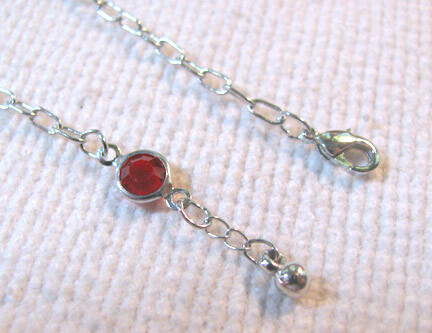 Also add one of the chain dangles from your findings pack, folding it in half. Stagger the lengths as shown. Attach the tassels to the outside of each of the jump rings from step 3 and close them. 6. Cut the neck chain in half. You can shorten it if you wish, but I like to leave extra length to make it adjustable. 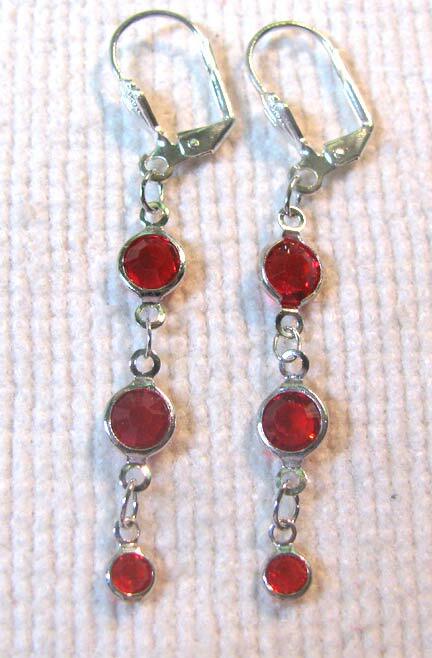 Add a lobster clasp from your findings pack to one end with a small oval jump ring. Add a dangle, if you'd like, to the other end. This helps to give the piece a finished look. 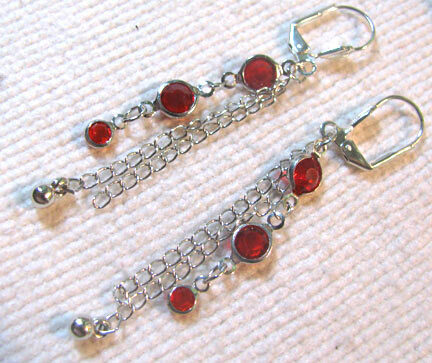 I used a leftover link from the medium-sized ruby crystal chain and a few links from another of the chain dangles. Use two small oval jump rings to attach them. 7. 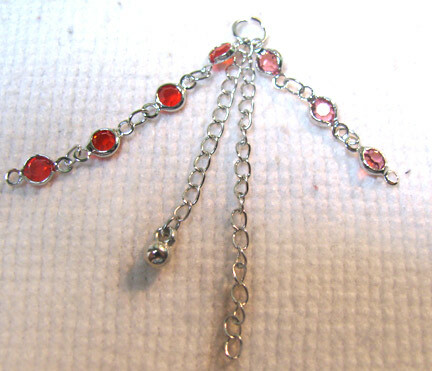 Since I had left over crystal chain, I decided to make a pair of earrings to match. 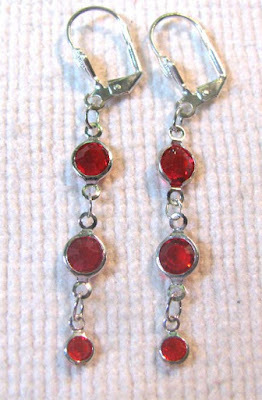 Earrings like these are things that I would wear all the time, even when I'm not wearing the necklace! 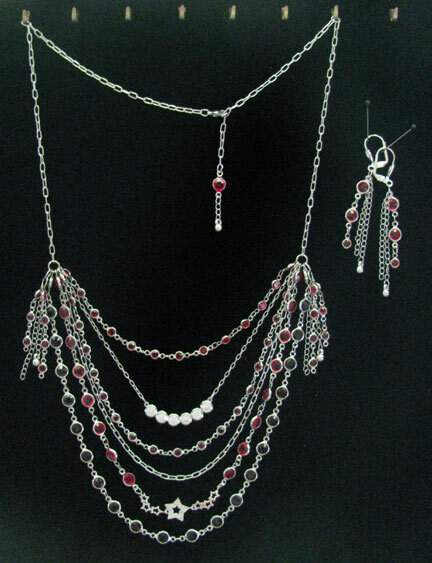 I started with a small crystal chain link, 2 medium links, 2 small oval jump rings for each, and earring wires. 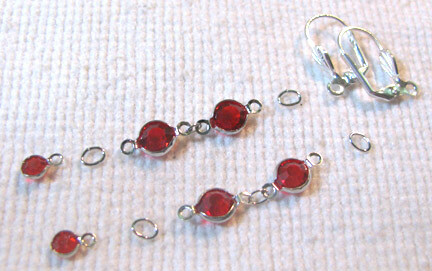 Using wire cutters, I removed one metal loop from each of the small crystal chain links and filed it smooth. 9. ...I don't like them simple! So I reopened the top jump ring and added a folded chain dangle to each, staggering the 3 lengths.